Effective leaders do more than just supervise employees. They lead by taking responsibility for ensuring that an individual succeeds, and that the team, department, or business unit achieves expected results. Effective managers are like successful coaches who develop teams that win championships year after year. Learn how to help managers succeed. Like winning coaches, successful managers are both talented and skilled. Of course, managerial skills can be developed through training, mentoring, and experience. But if a manager lacks natural talent, his or her odds of success will diminish significantly. Clarify the team's purpose and goals with the manager. We all know what it's like to lose sight of the forest for the trees, and sometimes managers need to be reminded of what's important and what isn't. Then they need to communicate these priorities to their teams. Help the manager understand his people. People have their own styles and preferences, and this influences how they best respond to their managers. When a manager understands his people, he can also be aware of potential conflict or "chemistry" issues between himself and other members of the team. 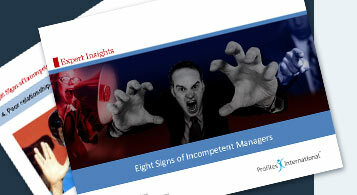 Thus the manager can be more aware of and proactive in dealing with issues that may impact performance. Help the manager understand his leadership style and motivation. Many of us have a number of key leadership qualities, but we still need feedback so that we can build on our strengths and fortify our weaknesses. And in some cases where it is clear that a manager really isn't ready to lead, the discovery process can help identify other career options that are better suited to the manager's style and abilities. Provide feedback from multiple constituents. It is extremely valuable for managers to receive feedback from their supervisors, peers, and subordinates to illuminate developmental needs, misalignments, and other issues that may be difficult to communicate openly under challenging circumstances.